Are you looking for a way to relax, calm your mind, sleep better, and improve your mood and health? In this fun and interactive 3-hour “Learn to Meditate” workshop you’ll learn how to set up your own personal practice at home starting with 5 minutes a day. There are various ways to meditate and you’ll learn about many of them. You’ll discover the basics of successful meditation, what meditation is, what it isn’t, experiences you might have, the five essentials of a successful practice, and the many benefits that will unfold for you when you learn to meditate. How to calm your mind so that you feel more peaceful and content inside. The truth about dealing with difficult emotions in a way that is kind and compassionate. How stress is impacting you and what to do about it. A powerful heart-centred practice with 3 questions that are powerful for gaining clarity about questions in your life. The difference between guided meditations and meditating on your own. 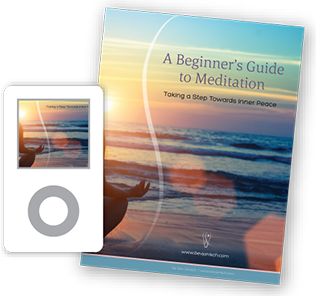 You’ll receive an audio recording and a “Beginner’s Guide to Meditation’ to help your new practice stick. You’ll love connecting with like-minded women and learn powerful techniques that will serve you for a lifetime. By the end of the workshop, you’ll be empowered to begin your new meditation and mindfulness practice that will help you thrive physically, emotionally and spiritually. No, this workshop ideal if you have no experience with meditation. You’ll also get a lot out of it if you’ve dabbled in meditation but would like to learn more about. 4. There is parking behind the Inglewood Credit Union (1328 9 Ave SE) that is free after 6:00 pm. There is a back ally to this off of 13 St SE or 12 St SE. Across from the bank parking lot you will see a Buddha beside a light colored garage. Please follow the path. Wear something that is comfortable. You won’t need a meditation cushion as most people prefer to meditate in a chair.